Retailers are making greater use of order management software that give them unparalleled visibility into their inventory levels by fully integrating the cross-channel operation. This allows sellers to improve the way they track inventory and allocate it towards orders received in any channel. With cross-channel inventory visibility, retailers can monitor the precise location of their stock, how much is available and where demand is highest, and avoid scenarios such as running out of hot products or having to slash prices to offload slow-moving inventory. 1. How much does fulfillment cost in each location? Retailers do not want to get into the business of fulfilling orders in new channels if it does not make financial sense to do so. It is one thing to have the ability to leverage stock across various channels, but it is another thing entirely to do so economically. Retailers do not want to get into the business of fulfilling orders in new channels if it does not make financial sense to do so. How much money does it cost retailers to fulfill an order in-store or from a regional warehouse or distribution center? If it costs too much money to fulfill orders a specific way, sellers may want to limit how frequently they use this channel for cross channel service, to only rare occasions. Retailers may need to consider the materials and space involved with offering pick-up or ship-from-store. 2. 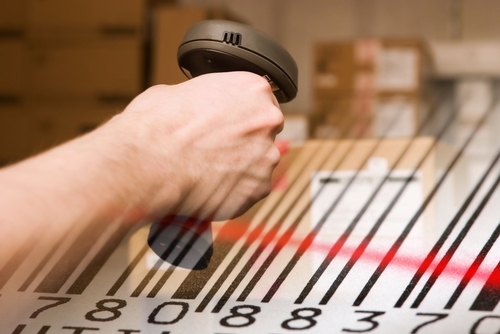 How does cross channel fulfillment affect labor costs? At a warehouse or distribution center, employees are trained in the art of picking, packing and shipping. They are also often equipped with mobile tools that help them process customer orders quickly and effectively. This is not always the case when retailers begin fulfilling orders from other locations. In-store associates are often not as familiar with the picking and packing process and may also not be equipped with the same tools as a warehouse picker. Whether it is an in-store employee picking items off the shelf to be shipped or packaging a bunch of product to be sent to a nearby store that is running low on inventory, this could present a labor cost. In-store associates are often not as familiar with the picking and packing process and may also not be equipped with the same tools as a warehouse picker. Plus, having to do this additional task may take up time that could be spent elsewhere, such as assisting in-store shoppers. Retailers must consider labor and opportunity costs when fulfilling cross-channel orders. 3. How often is cross-channel inventory usage necessary? While utilizing inventory supply from another location can be a huge boon, there is no denying it can also be a huge cost. Retailers shift inventory from location to location to avoid running out of stock or having to slash price tags, but if they are doing so often, that can result in greater shipping costs and expenses. Retailers must be able to find a balance between allocating enough stock to the sales avenue through which goods will be sold while also being able to move it between channels if need be. Cross-channel inventory usage is designed to be a cost-saving, efficiency-bolstering endeavor, so it is critical retailers keep this in mind and avoid relying too heavily on the initiative. 4. Who gets the credit and when? Attribution helps retailers understand channel performance and how the movement of goods are translating to sales. Cross-channel inventory usage can make these matters complicated. If customers place an order online, but it is fulfilled at the nearby physical store, who gets the credit? Or what if an in-store associate makes a sale using a kiosk that has access to the online store because the product in question is not in stock at that location? It can get even more complex when merchants are moving stock between channels and locations as well. If customers place an order online, but it is fulfilled at the nearby physical store, who gets the credit? Retailers need to work this out in advance if they want to continue to allocate their resources and monitor channel performance appropriately. An inability to properly attribute sales and inventory usage can result in misled commitments of their stock and resources. Inventory is the lifeblood of many merchants, and making optimal use of stock is critical to maintaining healthy profit margins. It is critical merchants deploy these initiatives appropriately and ensure no questions go unanswered.